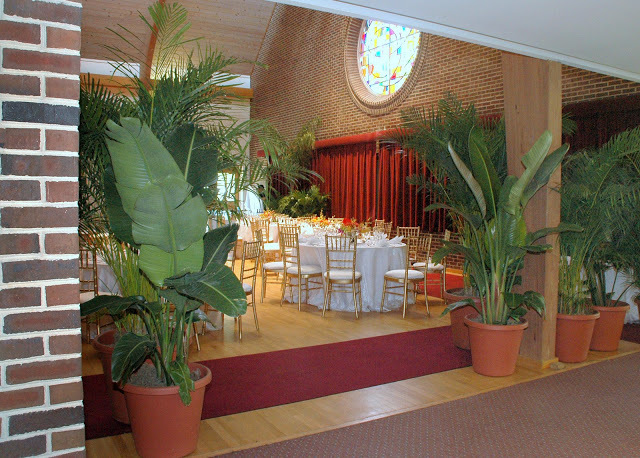 The Meeting House is a spacious, contemporary site for larger weddings and receptions. With clean, simple lines, warm hardwood floors and soaring ceiling, it is an elegant space for wedding ceremonies and a lovely wedding reception location for dining, music and dancing. The Meeting House can accommodate 225 guests standing or 150-175 people for a seated reception. A beautiful slate terrace adjoining the Meeting House and facing the walled boxwood garden provides an outdoor reception and elegant cocktail space. 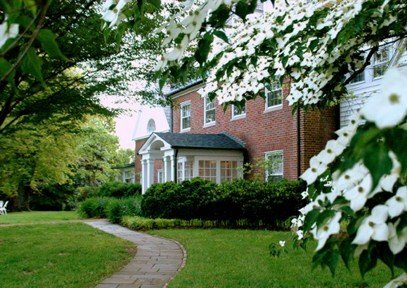 The Gardens: Your event can spread out onto the enchanting wisteria-arbored terrace and a boxwood maze. A patio, a romantic arbor, or a lawn are some of our outdoor spaces for events. Set up tents for dining or ceremonies in the front yard, back gardens or patio. Photography provided by Tisara Photography unless otherwise noted.